Art has been in my blood since I was 4, never interested in sand castles I was always drawing pictures in the sand with whatever paintbrush I could find. Today, with thousands of canvases under my belt, I have a penchant for teaching the bold, timid, quiet achievers to unleash their inner artist. I also thoroughly enjoy bringing that dream piece inside your head to life for a piece that is solely for you. 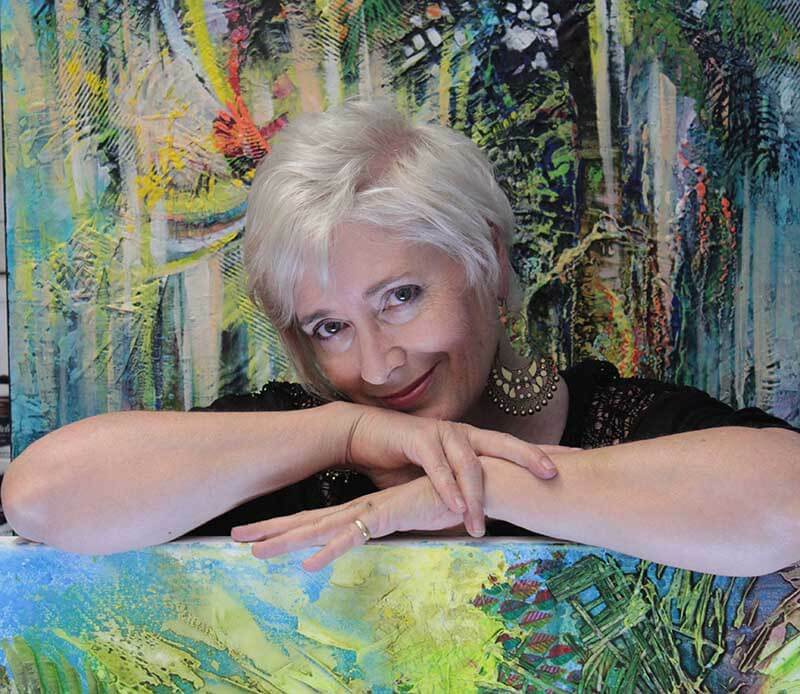 An unfettered joie de vivre emanates from the recklessly sumptuous works of Brisbane artist Debra Elizabeth (De) Gillett. She visually orchestrates a kaleidoscope of organic neo-futurist colour, creating a temporal sense of movement both refreshing and honest in its intent. 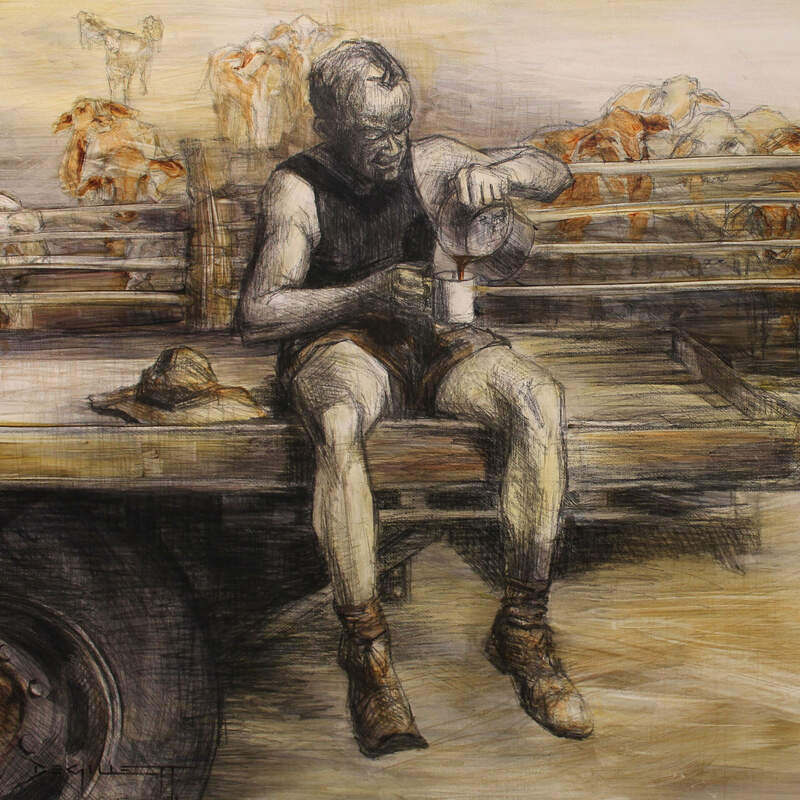 De Gillett is a creature of invention and re-invention, in her artistic practice and beyond. 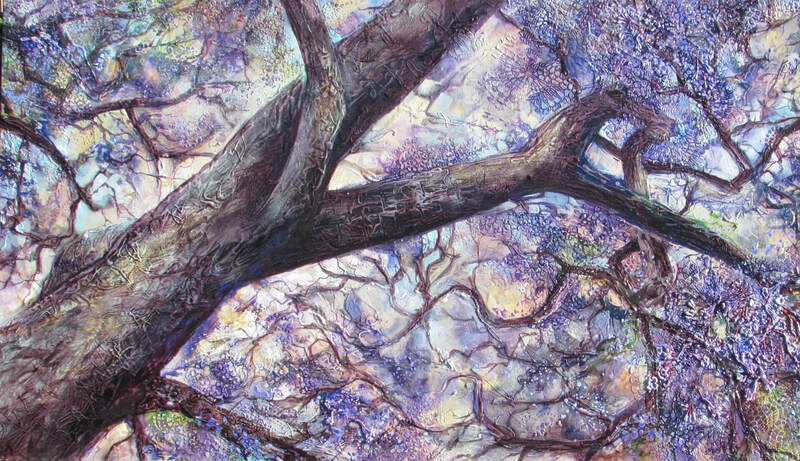 Over the last decade, she has developed her own techniques of building highly textured canvases, flooded with the luminous transparency of washes, glazes and inks. Obsessed with layering, her works build slowly to their completion from opaquely solid underlayers, through patterning and drawing into the surface, and finishing with layer upon layer of transparent flowing inks and glazes. Inspired by the writings of Walter Pater, who exhorts us all to celebrate the beauty in everything, especially in art, De strives to build her own “hard, gem-like flame” of enthusiasm for life and make work that shares her positivity and celebration of abundance with the world. Knowing the transcendence Art brings into her own life, De works hard at opening those doors for her many students. 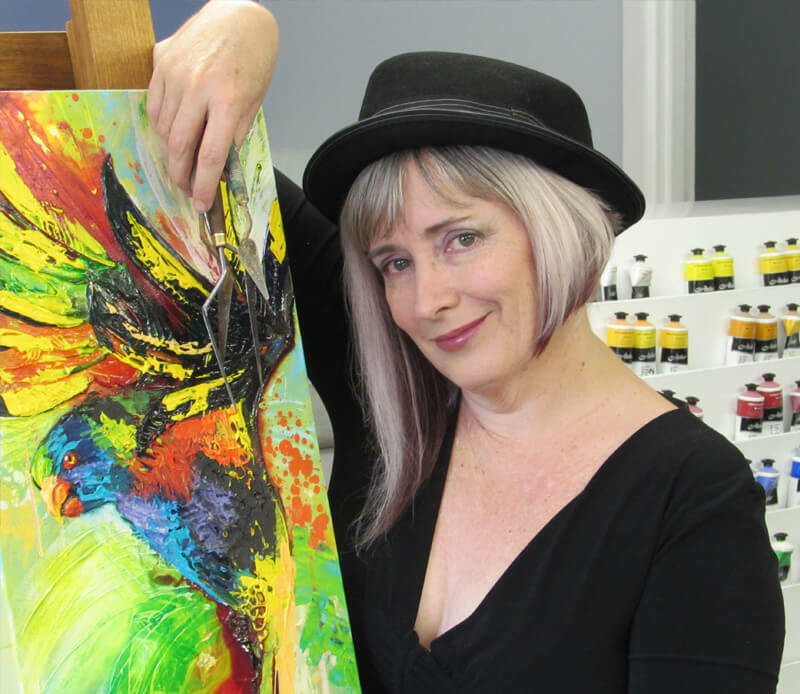 With her life and business partner Graham Cox, De is a driving force at Arts Tree, the business they have created and run at Wynnum, Brisbane, Australia since February 2013. Arts Tree is primarily a dedicated studio classroom, offering art lessons to adult students in Acrylics, Mixed Media and Drawing. 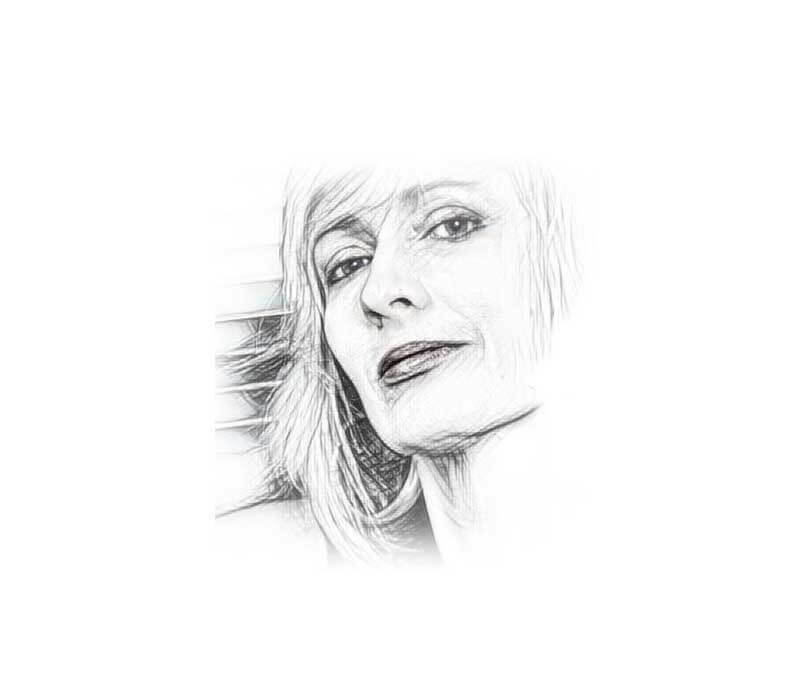 Utilising Graham’s skills as a film-maker, De is also currently deeply embedded in recording her self-developed techniques with inks, acrylics, analytical drawing and oils, to produce a series of lessons for students online and around the world. Having both a formal and self taught art education, I have the tools to help you unlock the style you have inside you when it comes to art. Learning how to use the tools of art is just one of the things you will gain after a short time with me.